Security Memetics: Do yo like raining on other people's parade? 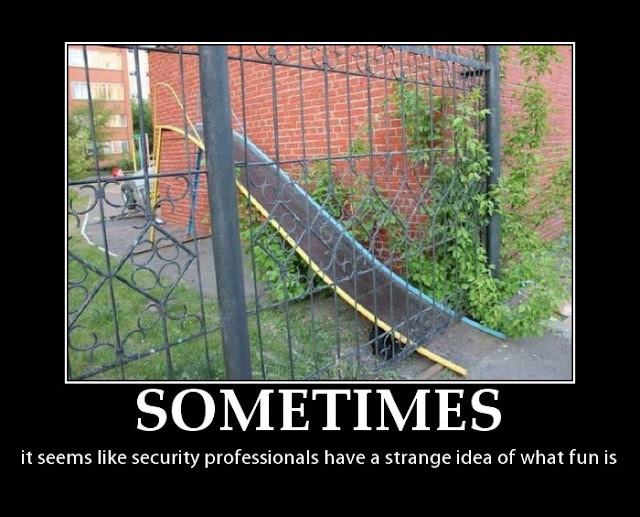 It may seem like security people get a kick out of ruining your day (and maybe some really do) but more often than not they're just focused on one thing (security) and not the context in which it's being applied. In the above example, the slide could conceivably have been moved or even turned around so that kids wouldn't be turned into french fries when they reached the bottom.